Ballgown wedding dress in ivory Italian floral jacquard with sweetheart neckline. 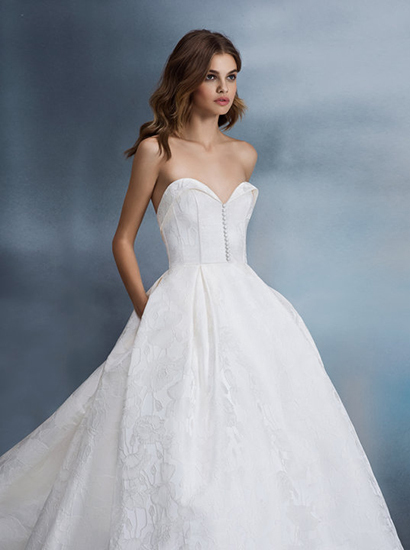 Features rolled in neckline, bustier bodice with prominent boning design and buttons down the middle, side pockets and chapel train. Wedding dress from Allison Webb.